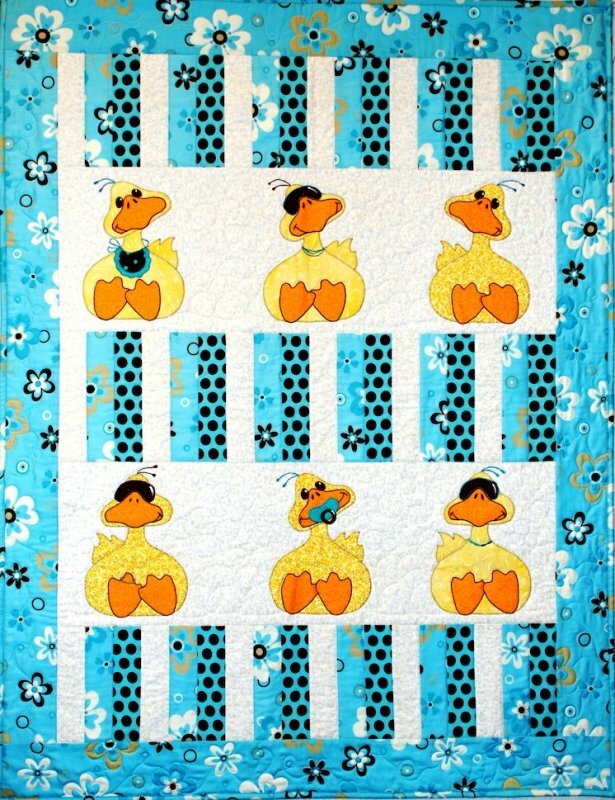 These cute ducks have made it back into the crib with their accessories of sunglasses, binkies and bibs! Who could resist their darling faces Just make you smile. Fun, fast and easily personalized for your newest addition to the family. Easy , fast assembly makes it fun and quick to make for that special shower! Approximately 44"x 55"